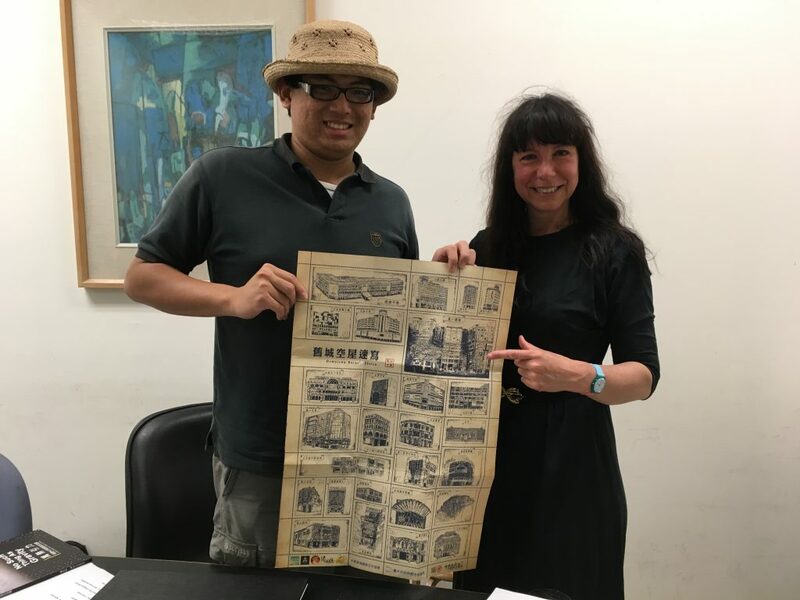 On 27th April, I interviewed ZHU Shu-Han 朱書漢 a local history and urban legend researcher who is studying a Masters in History at University in Taichung. The meeting was arranged by Hsingyu and Yenting at NTMoFA (National Taiwan Museum of Fine Arts) and they were both in attendance acting as translators. 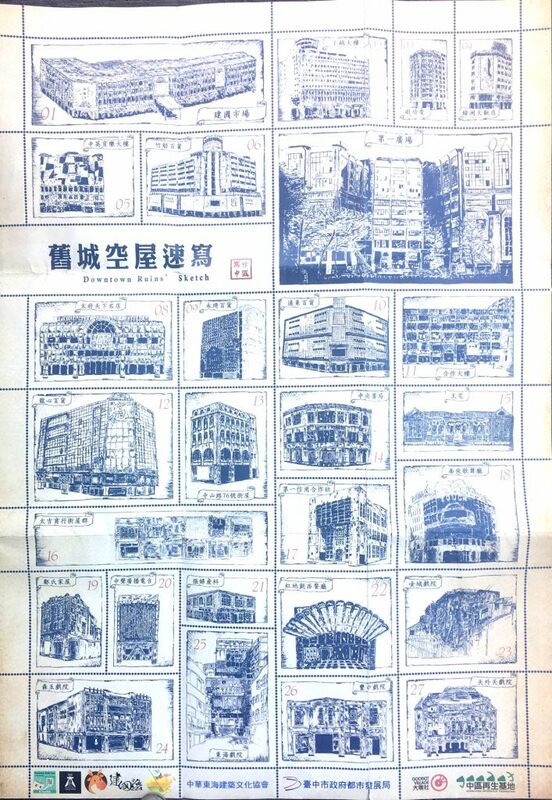 ZHU Shu-Han 朱書漢 runs the project ‘Writing Taichung’, which documents abandoned buildings in the city. He has created a fantastic map/ guide to many of these buildings. The map called ‘Down Town Ruins Sketch’ contains his own wonderful drawings of these extraordinary ‘ghost buildings’. ZHU Shu-Han 朱書 also leads walks around the city to visit these sites. 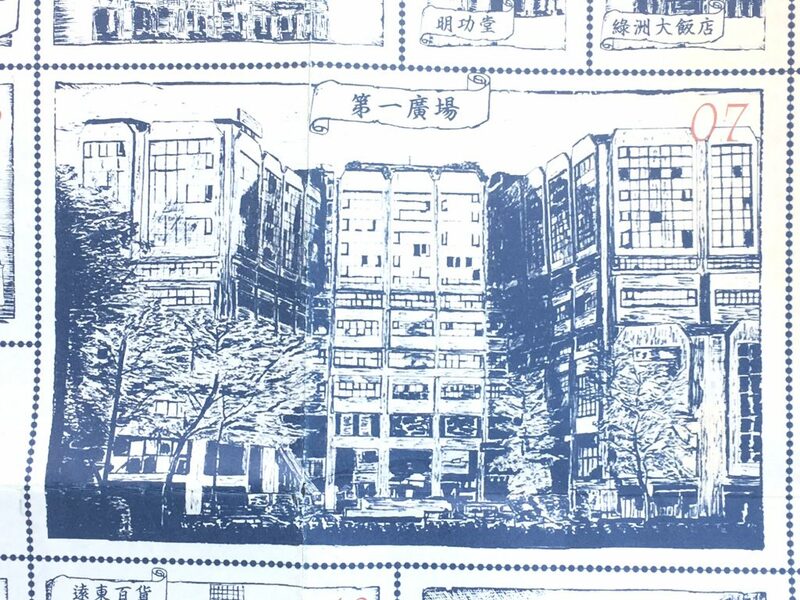 ZHU Shu-Han 朱書漢 realised that there was a need for someone to document the many abandoned buildings in the city and he set out to do this. He also encourages people to engage with this activity themselves and to share their research or experiences via his writing Taichung facebook page. Like many Taiwanese, ZHU Shu-Han 朱書漢 believes in ghosts. He also has a negative reaction to the western idea of the ghost story with it’s implications of ghost encounters being scary and shares the Taiwan aversion to the term ghost hunting – how could one even consider hunting a ghost, this would be most disrespectful? ZHU Shu-Han 朱書漢 is quiet clear that he would not organise a ghost tour, as this too would be disprespectful to ghosts. This said, he tells me that he does include ghost stories in some of his tours. To ZHU Shu-Han 朱書漢 a ghost is something invisible and extraordinary. He tells me that a ghost is not something to be afraid of as it is only the living that harm each other. ZHU Shu-Han 朱書漢 explains that ghost belief is linked to religion in Taiwan. Predominant religions are Buddhism and Taoism. Local folklore and the shamanistic beliefs of the indigenous people are also part of the religious mix. There is also an element of animism, with the worship of ancient trees being a common practice. This is a polytheistic culture where gods are also spirits and where mortals have been elevated to deities after death. For example, ZHU Shu-Han 朱書漢 explains, there are seven deities in many Taichung temples, known locally as the seven generals,. These gods were once six mortal warriors and one dog, who died during a war between the Chinese Han and the indigenous people. The generals are now guardians of the central Taichung area. I ask ZHU Shu-Han 朱書漢 if he has ever seen a ghost and he is clear that he has not. He explains that the Taiwan people believe that ones date and time of birth effect ones sensitivity to ghost seeing. Perhaps this is a way of telling me that maybe he feels he has not seen a ghost because he is not sensitive to them? I ask ZHU Shu-Han 朱書漢 if any of the sites he visits are considered to be haunted and to my dispointment, he replies that they are mostly not haunted. However, the ‘mostly not’ give me some hope that there are exceptions and indeed, as we get deeper into our conversation some fascinating and rather tragic Taichung ghosts stories emerge. ZHU Shu-Han 朱書漢 is very interested in urban legends and his ghost story interest is connected to this. He tells me that there are two very famous urban ghost legends in Taichung, one about a girl in a red dress and another about a ghost ship. I am familiar with ‘the girl in the red dress’ story, it has been featured on numerous UK ghost interest sites already. I am more intrigued by the story of a ghost ship, especially as Taichung rose out of s fishing community. Mazu, goddess of the sea, is revered here. ZHU Shu-Han 朱書漢 goes on to tell me more about the ghost ship. He begins by telling my that the story is connected to a tragic history of fires in public buildings in Taichung. There have been several notorious fires in recent Taichung history with a considerable loss of life. There are ghost stories linked to the locations where these fires took place. The Taichung ghost ship story originated from a fire at 1995. The fire happened at a restaurant called the Welcome restaurant in First Square. 64 people died. After the fire there were accounts of people seeing a ghost ship, taking the souls of the dead to the next world. Faces of people were initially seen in the window of the burnt out restaurant. ZHU Shu-Han 朱書漢 took a photo of the burnt out building himself and claims that there is a face visible in the window. The site is now occupied by a shopping centre. The rumor is that rival shopping centres made up the ghost ship story to put customers off visiting the new mall. There is another story that the ghost ship needed to collect 100 spirits before it could leave for another world. A department store near the main station had a fire in 2005 and people say that the ghost ship left after this with its passenger list complete. One of the people who died in the 2005 was the store manager, it is said that his birth date is somehow linked to the Welcome fire. The department store, Jing Sha, is now abandoned. 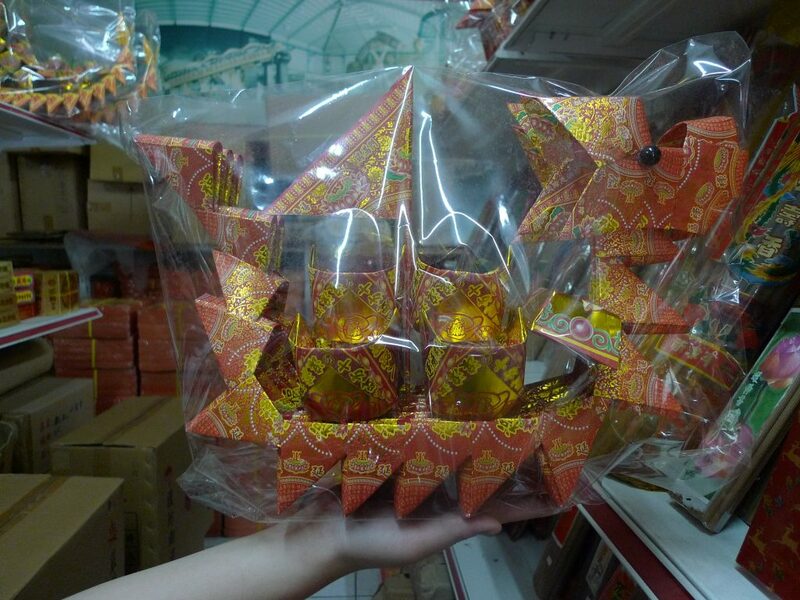 The Taichung ghost ship story spread from mouth to mouth, no one is sure of the story’s origins. 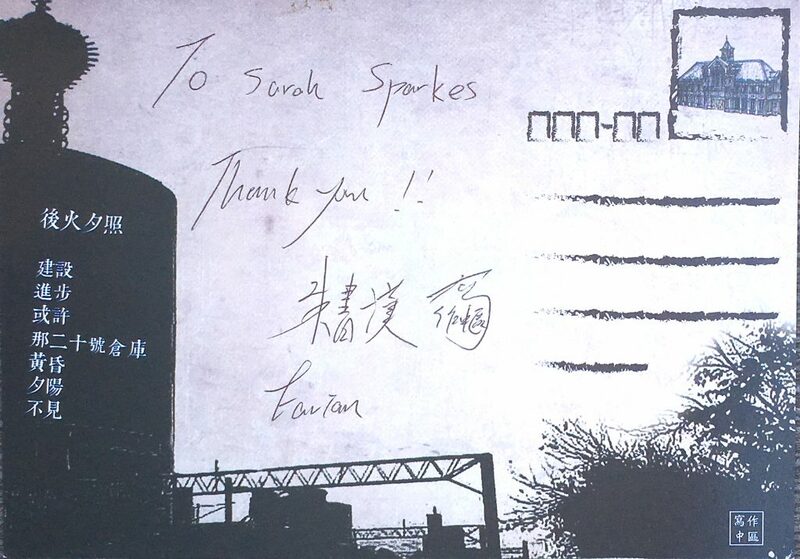 However, ZHU Shu-Han 朱書漢 tells me that it has been the subject of numerous features in local newspapers. Although ZHU Shu-Han 朱書漢 has not experienced a haunting himself, he says that many of his friends have. He tells me that friends have felt the presence of something when visiting sights, such as First Square, where tragedies have occurred. They believe that ghosts can attach themselves to you. One of his college friends developed a cold after visiting an alleged ghost haunt. Medicines and a visit to the doctor did not alleviate his symptoms. He was only cured after visiting a medium who ‘extracted’ the ghost from him. ZHU Shu-Han 朱書漢 is doing fantastic work in recording these abandoned public buildings in the, rapidly changing, vast metropolis of Taichung. He is a scholar with an interest in the local history of contemporary ruins. His interest in ghosts is connected to his interest in urban legends and their cultural meaning for a specific locale. ZHU Shu-Han 朱書漢 i is currently researching and documenting abandoned hospitals in Taichung. Sounds like a paranormal researchers dream doesn’t it? Just remember, ghost hunting is considered disrespectful by many people in Taichung.